Rhonda Alderman Presents: 1100 Alexander Valley Rd, Healdsburg, CA from Liftec Media on Vimeo. 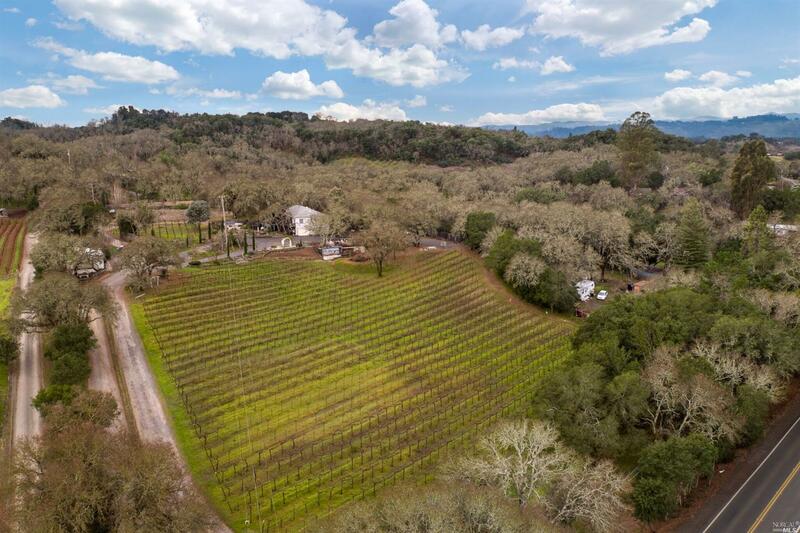 Majestic Healdsburg Vineyard Property on 4.45 Acres with 2 acres/1300 Tuscan Sangiovese Vines. Rustic wine cellar. Ideal location near Coppola, Clos Du Bois & Jordan wineries. Formerly Romo Vineyard Inn. Main home has 5 BR/5 Baths (en suite) with 3200+- sq. ft, plus a 1 BR/1 Bath cottage with 510+- sq. ft. Enjoy peaceful views from the decks. Courtyards, RV hookups, upgraded well/septic. Incredible opportunity within minutes to Healdsburg plaza, Offered for $1,690,000.